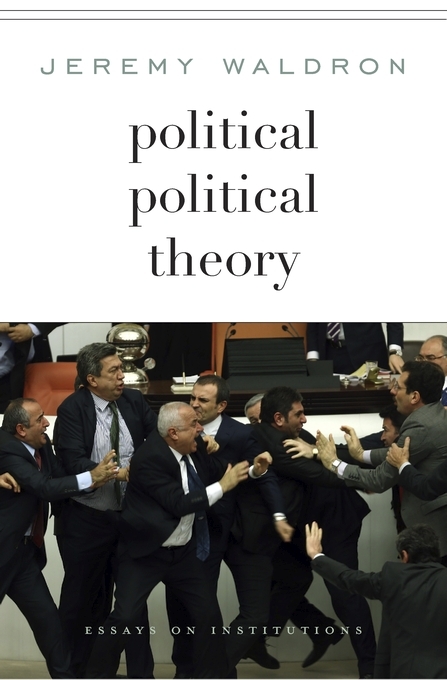 Political institutions are the main subject of political theory - or they ought to be. Making the case with his trademark forcefulness and intellectual aplomb, Jeremy Waldron argues in favor of reorienting the theory of politics toward the institutions and institutional principles of modern democracy and the mechanisms through which democratic ideals are achieved. Too many political theorists are preoccupied with analyzing the nature and importance of justice, liberty, and equality, at the cost of ignoring the governmental institutions needed to achieve them. By contrast, political scientists have kept institutions in view, but they deploy a meager set of value-conceptions in evaluating them. Reflecting on an array of issues about constitutional structure, Waldron considers the uses and abuses of diverse institutions and traditions, from separation of powers and bicameralism to judicial review of legislation, the principle of loyal opposition, the nature of representation, political accountability, and the rule of law. He refines his well-known argument about the undemocratic character of judicial review, providing a capacious perspective on the proper role of courts in a constitutional democracy, and he offers an illuminating critique of the contrasting political philosophies of Hannah Arendt and Isaiah Berlin. Even if political theorists remain fixated on expounding the philosophical foundations of democracy, they need to complement their work with a firmer grasp of the structures through which democracy is realized. This is what political political theory means: theory addressing itself to the way political institutions frame political disagreements and orchestrate resolutions to our disputes over social ideals. As our experience regarding the practice of deliberation grows, the position from which we evaluate it, and the criteria of this evaluation, change. This book presents a synthesis of recent research that has brought detailed and robust results. Its first section concerns contemporary challenges and new approaches to the public sphere. The second focuses on the Deliberative Poll as a specific deliberative technique and compares findings emanating from this practice in various political and cultural contexts. The third section addresses the challenge of determining what constitutes deliberative quality. 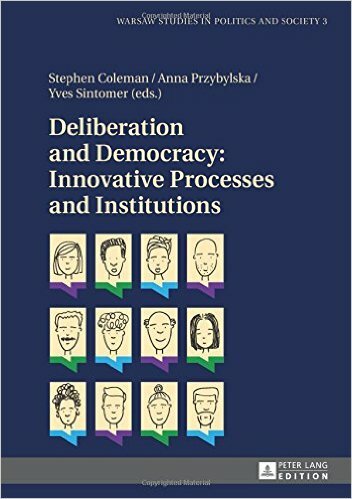 Finally, the last section discusses democratic deliberation and deliberative democracy as they relate to the complex challenges of contemporary politics. "The forty year period 1970-2010 saw two developments in the USA: first, at the level of theory, intense academic interest in the egalitarianism of John Rawls. Second, at the level of practice, fundamental changes in the institutions, policies and norms of US society that have led Gilens and Page to conclude that it has become an oligarchy de facto if not de jure. A central component in that practical development is the tolerance of extensive inequality and the emergence of not merely the "1 percent", but the elevation of an "upper decile" of wealthy individuals into a position of economic and political dominance. In spite of pioneering work by Krouse, MacPherson and Arneson, little academic attention has been paid to whether a political economy with roots in Rawls's work might be the most effective response to these practical and institutional changes. That situation may be about to change given the popular, as well as academic, response to Thomas Piketty's Capital in the Twenty-First Century. In this paper I will consider whether a form of economic system described by Cambridge economist James Meade – a common source for both Rawls and Piketty – offers a feasible egalitarian ideal. It will be argued that the USA represents a "test case" for other advanced democracies faced with the challenge of a new form of patrimonial capitalism. It is further argued that only a structural change to society's fundamental wage setting institutions, along the lines recommended by Meade and Rawls and implicit in Piketty, will bring about the necessary structural change to implement a political economy for a just society." Alan Thomas is running a blog on ethics and political philosophy: "EthicsSocialPhilosophy".